lp208 committed rNUISANCEGITd415ee851f56: nuebar == -12, not 12... (authored by lp208). lp208 committed rNUISANCEGITd6322cd1d40d: Adds ability to make new tree in a named subdirectory of a tfile with util… (authored by lp208). lp208 committed rNUISANCEGIT3dcf2323fa77: the generator util library is now installed in lib if it is needed, and… (authored by lp208). lp208 committed rNUISANCEGIT97b9492af2c8: Adds option to nuisstudy to allow a sample name to be passed on the CLI, only… (authored by lp208). lp208 committed rNUISANCEGITb794349ad2d0: Adds Nuisance to CAFAna truth converter, various tweaks/additions throughout to… (authored by lp208). lp208 committed rNUISANCEGIT53f67359521c: Fix some small compilation/configuration errors. (authored by lp208). Fix some small compilation/configuration errors. lp208 committed rNUISANCEGITc010a0a9c7a7: Small tweaks. (authored by lp208). GitHub <noreply@github.com> committed rNUISANCEGIT1f742e38f447: Merge pull request #2 from mastbaum/feature/mastbaum_novarw-opt (authored by lp208). lp208 committed rNUISANCEGIT8d001fb51ba1: Adds NOvAReWeight Tune interface for high level control (e.g. just enabled the… (authored by lp208). lp208 committed rNUISANCEGIT69b5c4a2e1af: Merge branch 'geniev3' (authored by lp208). lp208 committed rNUISANCEGIT5fb837f2d1f3: Adds NOvAReWeight support. (authored by lp208). lp208 committed rNUISANCEGITb29cdc1bd7c1: Fixes GeneratorManager usage in the input handlers. Adds some more histo… (authored by lp208). lp208 committed rNUISANCEGITb093d44e2f77: Adds more filtering options to nuissamples, Adds helper methods for configuring… (authored by lp208). lp208 committed rNUISANCEGIT54f6df27a85d: Adds T2K CC0Pi single transverse variable sample. Adds Year and DOI to sample… (authored by lp208). lp208 committed rNUISANCEGIT2d3af18cdfb3: Adds debugging option to nuisbuild. Adds ability for NEUTInputHandler to build… (authored by lp208). lp208 committed rNUISANCEGIT286d6c96f3ae: Small tweaks and fixes in PrepareGENIE, should now be able to UPDATE input file… (authored by lp208). lp208 committed rNUISANCEGIT471a22fd1091: Many tweaks and bug-fixes throughout. build system got a number of tweaks to… (authored by lp208). lp208 committed rNUISANCEGIT9b9461f36111: Moves configured scripts and files to a new directory in the package root. Adds… (authored by lp208). 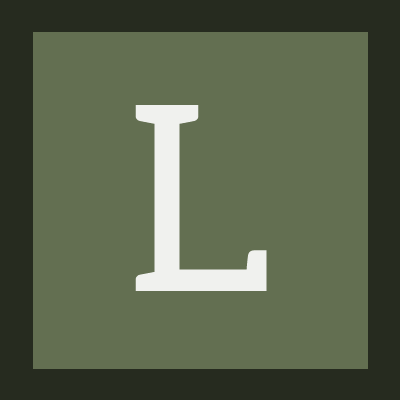 lp208 committed rNUISANCEGIT1b499b416bf4: Removes no-as-needed from main linker options and instead wraps GENIE libraries… (authored by lp208). lp208 committed rNUISANCEGIT84623dfe3898: Begins adding GENIE event reading. Not functional yet. Tidies up build system… (authored by lp208). lp208 committed rNUISANCEGIT2876d75c6852: Fixes bug in parseconfigapp where the found app wasn't getting reset causing… (authored by lp208). lp208 committed rNUISANCEGIT4029fc4bc2b9: Removes debugging cmessage that caused build hard stop. (authored by lp208). Removes debugging cmessage that caused build hard stop. lp208 committed rNUISANCEGIT26b4426f81a6: Removes spurious GENIE_LIB setter that got in the way (authored by lp208). lp208 committed rNUISANCEGITcb4758946f79: Merge branch 'geniev3' of ssh://phab.hepforge.org/source/nuisancegit into… (authored by lp208). lp208 committed rNUISANCEGIT205604f50ff9: Adds GENIE_LIB_DIR override for when genie-config is misbehaving (seems like… (authored by lp208). lp208 committed rNUISANCEGIT6e1c8f4ec24b: The rewrite continues. (authored by lp208). lp208 committed rNUISANCEGIT747f5f2649a8: restructures documentation directory, adds first draft of design choices… (authored by lp208). lp208 committed rNUISANCEGITcf410124e077: Some core structure tweaks in prep for ANL QE sample working fully (still needs… (authored by lp208). lp208 committed rNUISANCEGIT9b862e3ae706: Merge branch 'master' into geniev3 (authored by lp208). lp208 committed rNUISANCEGITec229151dbd5: Strips compiler flag variables becuase of new CMake policy (authored by lp208). lp208 committed rNUISANCEGIT2c85887c0c1f: Merge branch 'master' of github.com:NUISANCEMC/nuisance (authored by lp208). lp208 committed rNUISANCEGIT7284a98c7dde: Tidies, and probably makes more complicated, the GENIESetup.cmake script. Moves… (authored by lp208). lp208 committed rNUISANCEGIT9f1c7a6a64c2: Merge remote-tracking branch 'mastbaum/mastbaum_argoneut-cc1pi' into… (authored by lp208). lp208 committed rNUISANCEGITe44ec1428369: Merge remote-tracking branch 'mastbaum/mastbaum_geniev3' into mastbaum_fixes (authored by lp208). lp208 committed rNUISANCEGIT3d48beec5f6e: Merge remote-tracking branch 'mastbaum/mastbaum_bugfix' into mastbaum_fixes (authored by lp208). lp208 committed rNUISANCEGIT787efc0a93fe: Adds --no-as-needed to stop missing GENIE classes in compiled executables (authored by lp208). lp208 committed rNUISANCEGIT31658a5c1133: In NEUT 5.4.2 a common block member has changed its name slightly. (authored by lp208). In NEUT 5.4.2 a common block member has changed its name slightly. lp208 committed rNUISANCEGIT74442a77e422: fixes non c++98 compilent >> in template usage. (authored by lp208). fixes non c++98 compilent >> in template usage. lp208 committed rNUISANCEGIT7b311ce3e3d2: Fixes crash when no samples are found. (authored by lp208). Fixes crash when no samples are found. lp208 committed rNUISANCEGITed9bab505da3: Adds option for GENIE EMP MEC Rw if your copy of GENIE supports it (authored by lp208). lp208 committed rNUISANCEGIT87cf90e99ad2: Moves ROOT6 check outside of minimizer check (authored by lp208). lp208 committed rNUISANCEGIT8190fb39a2b9: Moves ROOT6 check outside of minimizer check (authored by lp208). lp208 committed rNUISANCEGIT85f9a5d7955f: Merge branch 'master' of ssh://phab.hepforge.org/source/nuisancegit (authored by lp208). lp208 committed rNUISANCEGIT366a5fb8a81b: updates some generator/compiler build config. NEUT_VERSION now must be… (authored by lp208). lp208 committed rNUISANCEGITcd27a8646319: Adds base class that replaces the old MeasurementNd bases, should currently… (authored by lp208). lp208 committed rNUISANCEGITb8d14b6ea798: slightly reorganises src/core to break circular library dependencies. Adds ANL… (authored by lp208). lp208 committed rNUISANCEGITe9f2167d42a5: Adds NEUT input handler and plugin for dumping out event/particle stack… (authored by lp208). lp208 committed rNUISANCEGIT7e47dcd02a36: Implements input manager, begins to implement nuis to NuWro event converter… (authored by lp208). lp208 committed rNUISANCEGITe8d5274f7409: First proof-of-concept of new plug-based interface towards V3. Infinite work to… (authored by lp208). lp208 committed rNUISANCEGITb2dc16e3bc0f: Tweaks compiler setup to work with Nuwro 2018. Increases particle stack… (authored by lp208). lp208 committed rNUISANCEGIT586d9a41454c: Had missed an ExpandInputDirectories when testing cache input. (authored by lp208). Had missed an ExpandInputDirectories when testing cache input. lp208 committed rNUISANCEGIT15bdf73a353c: Debugging for cache file finding. (authored by lp208). Debugging for cache file finding. lp208 committed rNUISANCEGIT93829b3a831b: Moves GENIE verbosity quieten to the InputHandler (authored by lp208). lp208 committed rNUISANCEGIT2fab20201a84: When specifying the precalculated cache file, can now use @GENIE_DIR expansion. (authored by lp208). When specifying the precalculated cache file, can now use @GENIE_DIR expansion. lp208 committed rNUISANCEGIT8d6a82330b87: Now actually fixes it... (authored by lp208). lp208 committed rNUISANCEGIT7f8746422b0d: Shuts up GReW and GHepUtils message stream. (authored by lp208). Shuts up GReW and GHepUtils message stream. lp208 committed rNUISANCEGIT178ebf6630c7: Allows veto use without segfaults due to GENIEReWeightEngine mode setting. (authored by lp208). Allows veto use without segfaults due to GENIEReWeightEngine mode setting. lp208 committed rNUISANCEGITd544d6a6ddf6: Fixes double inclusion of linker group directive again... (authored by lp208). lp208 committed rNUISANCEGITcb0590786326: Fixes double inclusion of linker group directive (authored by lp208). lp208 committed rNUISANCEGIT7be8e98c971f: Adds some missing std:: qualifiers (authored by lp208). lp208 committed rNUISANCEGIT226cab86f6ed: Adds some more ifdefs that allow build when DUNERwt is not available (authored by lp208). lp208 committed rNUISANCEGIT3f397a18464d: Tweaks the initial number of particles in FitEvent, Adds DUNERwt to setup.sh.in. (authored by lp208). Tweaks the initial number of particles in FitEvent, Adds DUNERwt to setup.sh.in. lp208 committed rNUISANCEGIT69e20be41429: Adds DUNEReWeight engine. DUNEReWeight pre-calculated responses can be loaded… (authored by lp208). lp208 committed rNUISANCEGITff1074f60d22: Merge the fact that I already did this... (authored by lp208). lp208 committed rNUISANCEGITa660180ad473: Adds -Wl start/end group around GENIE libraries to resolve circular… (authored by lp208).